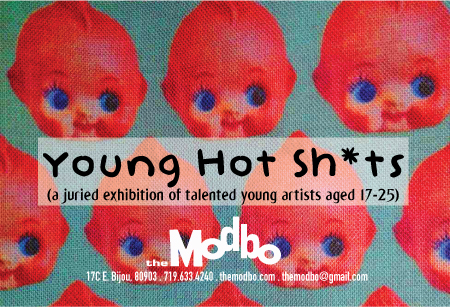 The Modbo presents October’s First Friday on October 6th, 2017 with Young Hot Sh*ts, a show featuring work by young artists aged 17-25. First Friday’s reception happens from 5 pm til midnight, and the show remains up through Friday, October 27th. In an ongoing effort to foster and promote the careers and aspirations of young artists, this show features work in a wide range of sizes and media, all created by local youngsters. Don’t miss your chance to see the next wave of up-and-coming talent in Colorado Springs!